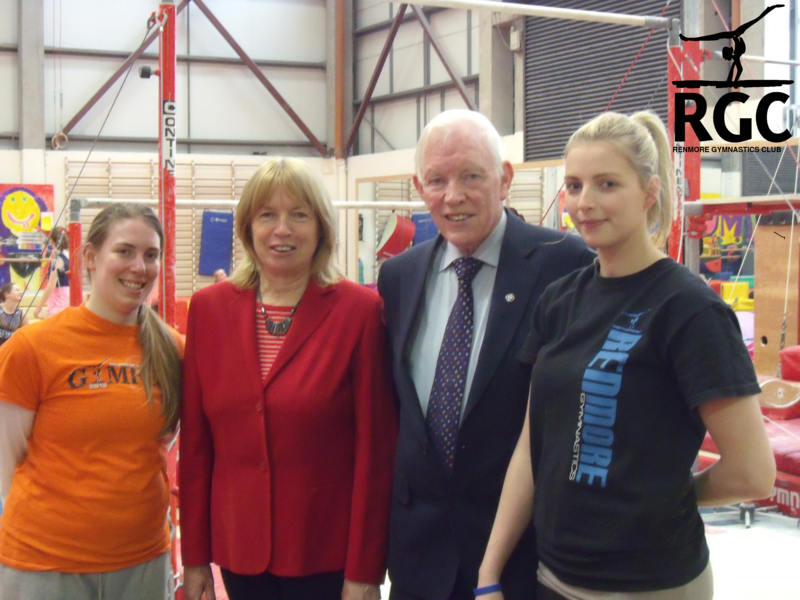 Local elections Fine Gael candidate Margo Kelly paid a visit to Renmore Gymnastics earlier this week. Margo was accompanied by her husband Liam and their two grown sons, and by former TD Padraic McCormack. Margo Kelly and Padraic McCormack at RGC, May 2014, shown with coaches Sam Marciano and Dale Moylan. Thanks, Margo, for taking time out of a busy pre-election schedule to come and see what we are up to!